Marr’s Heating and Air Conditioning has been proudly serving the Whatcom County region since 1965. 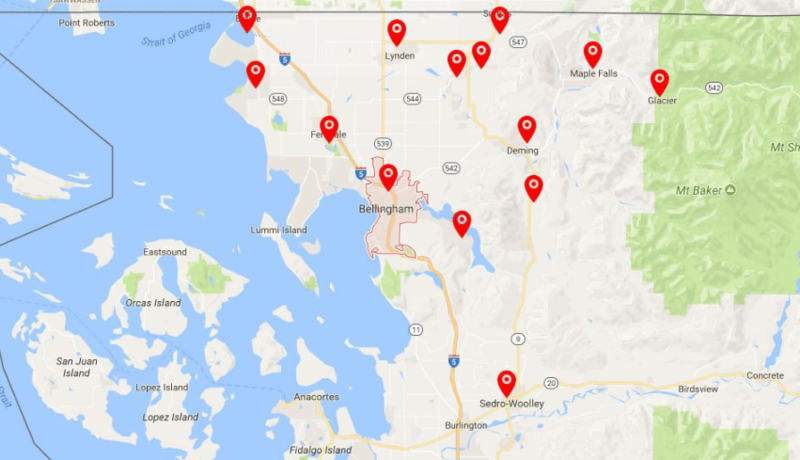 Our service locations span from Blaine to Sedro-Woolley, and from Lummi Island to Glacier. Wherever you’re located in the area, Marr’s will provide professional services to all of your heating and cooling appliances. A detailed list of who we serve can be seen below. Have any questions about service locations? Looking to schedule a maintenance or installation? Contact us by calling 360-734-4455 or scheduling an appointment via the online service.